Wilbur and Orville Wright established a marvelous legacy in the history of world, alongside the greatest American inventors, with the invention of the first successful, fully powered and heavier-than-air flying machine. The airplane, which was created in Dayton, Ohio and made operational at Kitty Hawk, North Carolina, on December 17, 1903, virtually kicked off the aerial age. The invention is considered as one of the most important events in the 20th century. The Wright brothers belonged to the deep mid-western America. Various generations on both sides of the family had been erstwhile colonists on the Ohio and Indiana frontier. Milton Wright, the dad, was an itinerant minister, who served as a bishop in the Church of the United Brethren in Christ. His job meant that the family saw many church posts across the place. Susan, the mom, had been a member of the United Brethren, and an intelligent, shy person. The Wrights brothers began experimenting in aeronautics in 1899 as they mastered their skills by 1905. In these six years, with brilliant originality, they determined the necessary elements of the problem, conceptualized creative technical solutions, and created practical mechanical design tools with constituents that resulted in an executable aircraft. Their efforts meant much more than merely coaxing a machine off the ground. They laid down the fundamental principles of aircraft design that are still relevant to this day. After introducing the invention to the public in the United States and Europe in 1908, they gained international fame and recognition. The Wright Company started manufacturing airplanes for sale and created wealth that far exceeded anybody’s imaginations. 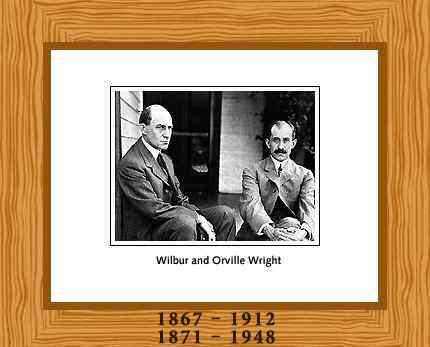 The contemporary experimenters and aviators responsively overtook and surpassed their designs, but it was Wilbur and Orville Wright who made the landmark discovery that made them immortal in history. Air transportation and military aviation have had an indeterminable economic, geopolitical, and cultural impact in the entire world. The Wright brothers never got married. Wilbur Wright died of typhoid. He was only 45 years old. Orville Wright died of a heart attack at 77.